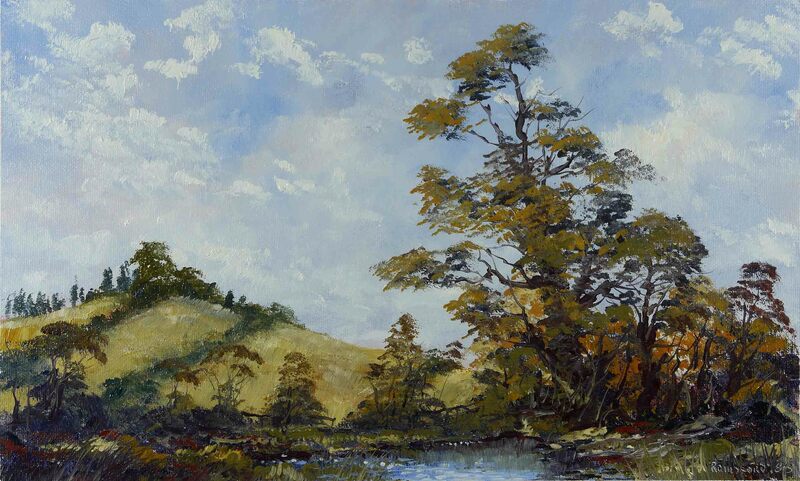 This entry was posted in Oil Painting and tagged Culture, Education, Irish landscape, Oil Painting Instruction, Pictures, Time lapse painting. Bookmark the permalink. Another beauty. Love the two diagonal garlands of greenery on the hillside. Hard to believe it is almost that time of year. Here in Kentucky USA it is still hot and humid. We also still have lots of chigger and ticks. Yuck I will still stay indoors for another month. I enjoy your paintings they are beautiful. Thank you.